LeurAvis is a customer feedback management platform aiming at increasing the reputation and growth of small businesses. With LeurAvis, your customers will be able to leave positive feedback on the most influential websites, such as Google and Facebook. You will thus improve the SEO of your business, its position in local search results and, accordingly, the amount of customers you will reach. Improve your position and your SEO compared to your competitors by giving a positive aura to your business in search results. Attract new customers and invite them to give positive feedback on your business. Maintain a steady flow of comments to keep and preserve your influence, your brand image and your position on the web. Manage and offer a simple and efficient solution to your customers, inviting them to give feedback on your services. Everyone knows how important word of mouth is but the effect of positive comments and notes on your SEO, and on your business, is also undeniable. In fact, 93% of local customers read online feedback before choosing which place they will go to. Most of the people will end up choosing the first result they find, it is proven. Here lies the tremendous importance of having your customers give positive feedback which will attract new customers who will, in their turn, do the same. By managing your customers’ feedback and inviting them to leave comments, you will make sure to continually win the attention of new customers, thus creating positive dynamics for your business. This may seem difficult to implement and this is why LeurAvis offers you an approachable platform that is efficient and easy to use to help you and not let potential clients go anymore. A business managing its online reputation will always be more impactful and more visible simply because its SEO will be better than a business neglecting its image. It then makes sure to attract new clients and leaves less, and even sometimes no, margin for the competitors. First and foremost, it is important to clearly differentiate simple ratings from comments written by customers along with a rating. Nowadays, the importance of the Internet and social networks is undeniable and customers who bother and take the time to write a comment on your business are precious. This influences greatly the choices of potential clients and their decision to choose your business or choose the competitors. Giving feedback has never been that easy and neglecting its management can have harmful consequences on the success and growth of your business. 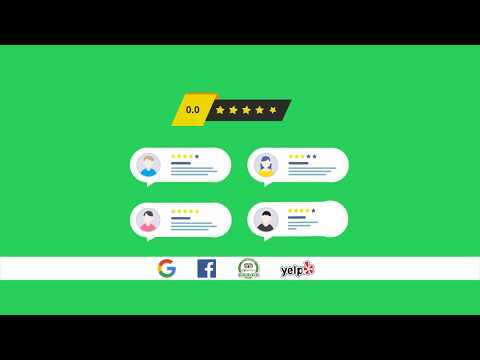 This is where LeurAvis comes into play by offering you an easy way to monitor your clients and invite them to leave positive comments to improve your SEO. You may be surprised but SMS are a lot more efficient than emails when it’s about inviting your clients to give feedback on your business! In fact, 98% of SMS are read versus only 22% for emails. We are using this efficient process with LeurAvis: by sending them a SMS, your clients can easily share their experience and their opinion on your services. What about negative feedback, you say? No worries, our platform will let you to track these critics before they have an impact on your reputation. This also allows you to analyse and work on matters that need to be improved. Do not lose anymore clients, get started today and try LeurAvis for free!